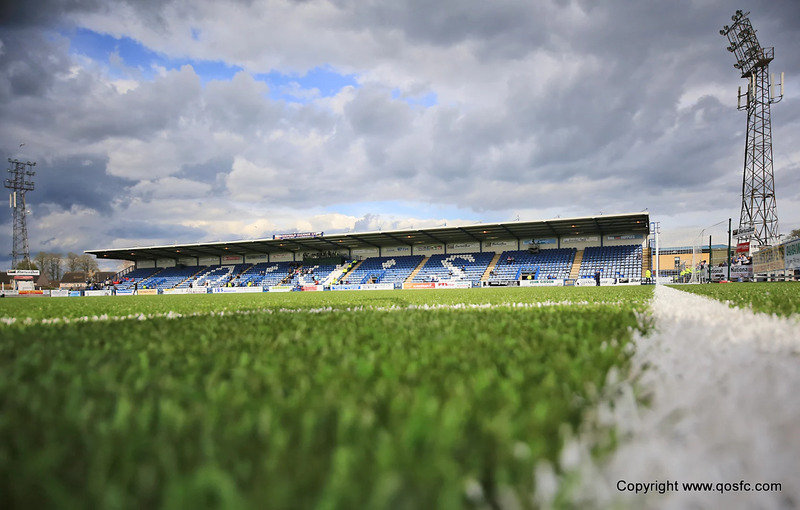 Queens followed up last weekends emphatic victory at Falkirk by producing another superb display of attacking football that condemned league leaders at the start of play, Ayr United, to their first league defeat of the season. In a scintillating spell that produced 4 goals, and a missed penalty, Queens were unplayable as Ayr were simply swept aside. 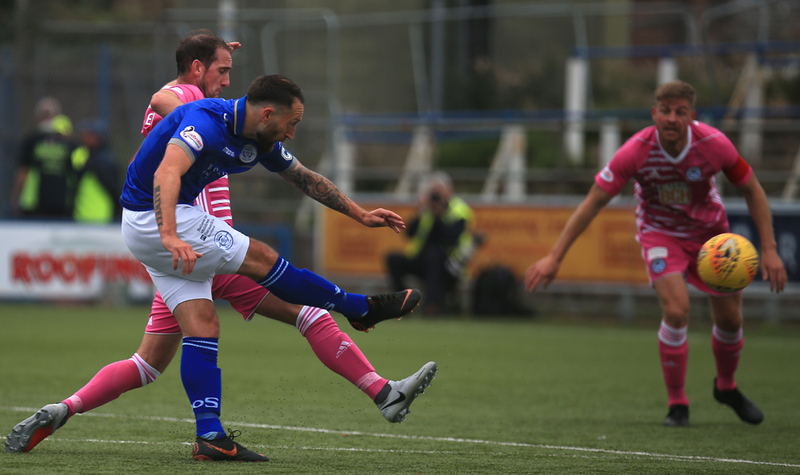 The performance included a 10 minute hat-trick from Stephen Dobbie and without doubt it was the best first half display at Palmerston from Queens since Gary Naysmith became manager. Following the win at Falkirk, Queens named an unchanged starting line-up and continued with a 4-4-2 formation. 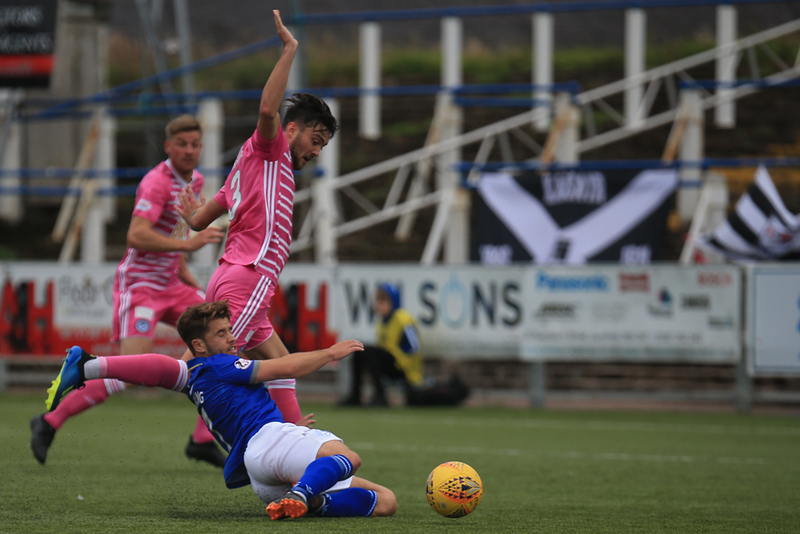 Visitors Ayr included former Queens players Jamie Adams, Mark Kerr, and Andy Murdoch in their starting eleven as they looked to maintain their unbeaten start to the current league campaign. Queens made a promising start and an early attack featuring Dobbie, Dykes, Todd and Harkins, ended with a weak header from Dykes that was comfortably held by Ayr `keeper Doohan. The game continued with Queens in the ascendancy and a cross from Stirling fell nicely for Dykes, but his attempted shot was blocked. The away team responded with a quick break that led to Crawford releasing Moffat but his strike was deflected which made the shot more comfortable for Alan Martin to deal with. Another quick break from Queens saw Harkins pick out the run of Dobbie on the left, and after cutting iside, Dobbie`s effort was deflected wide for the game`s first corner. Having defended the set-piece well, the next passage of play saw the visitors concede just their second league goal of the season. 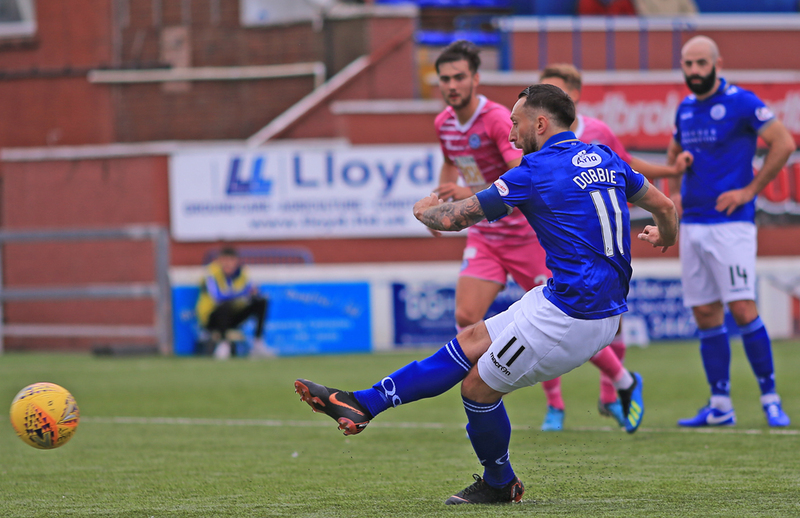 Lyndon Dykes broke clear from just inside the Ayr half and when the ball broke to in-form Stephen Dobbie he smashed a right footed drive past `keeper Doohan. There was a bit of good fortune for Queens moments after taking the lead, as Josh Todd was very fortunate to be spared a red card when after loosing the ball he overstretched and lunged in on Geggan, on another day yellow could easily have been red, and the outcome of the game may well have been different. 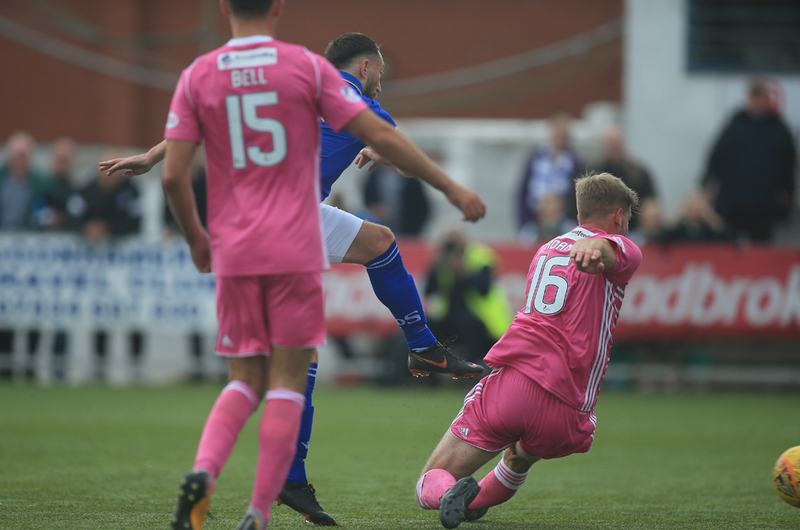 However, Queens made the most of that let-off and the goal was the start of something of a `power play` from Queens as 25 minutes later the game was all but won as an incredible spell of fast flowing attacking football simply blew Ayr away as Queens moved into a comfortable 4 goal lead. Straight after the goal Ayr went close to levelling when Geggan got on the end of Moffat`s cross, but he couldn`t keep his attempt on target.That was as good as it got for Ian McCall`s `honest men` as Queens added a second goal from the penalty spot. A pacy and direct run from Stirling took him well into the penalty area and when Harvie`s miss-timed challenge brought the Queens man down a penalty was the obvious outcome. 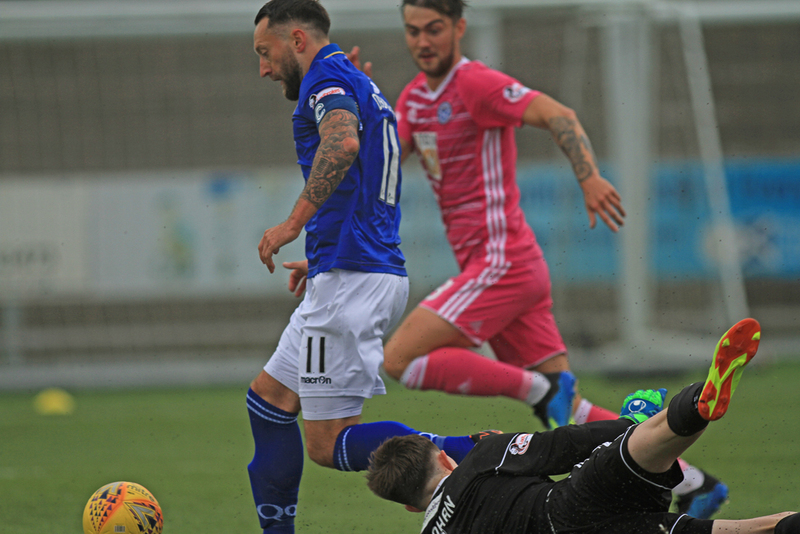 Stephen Dobbie stepped up to convert the perfect penalty as the ball went one way, and the `keeper went the other. Just two minutes later the impressive away support were well and truly silenced as they watched on to see their team concede as many goals in 10 minutes as they had done in their previous 10 games!! 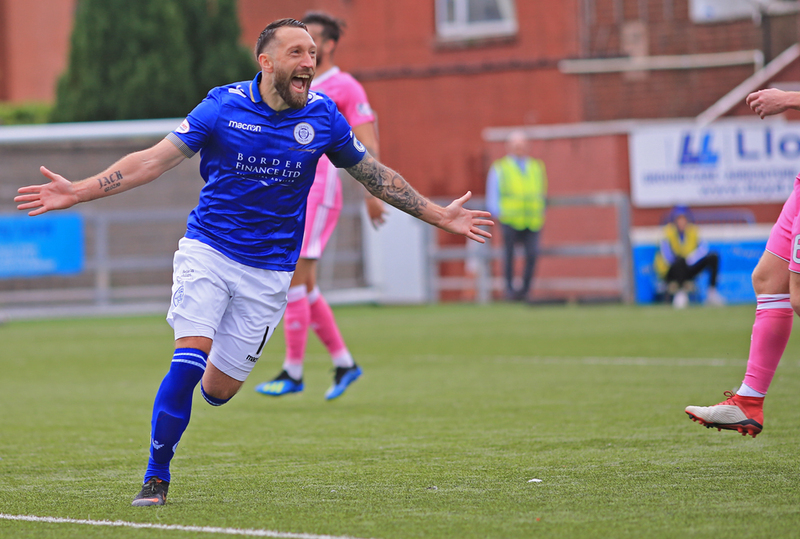 The third goal arrived courtesy of more devastating link up play between the Queens front pair that split the defence, and when Stephen Dobbie went round the `keeper there was only ever going to be one outcome as the striker bagged his second successive hat-trick with an accomplished composed finish. The vising defence had no answer to the outstanding Dykes and he went close to adding a fourth goal when his diving header was only inches away from finding the net. Ayr dangerman, Shankland was having a quiet afternoon as both Semple and Doyle where keeping a tight reign on the striker, but it was the former Aberdeen man who had Ayr`s best chance of the half on 28 minutes, but his close range volley was straight at Alan Martin who reacted well to make an instinctive save. Queens` next attack should have seen them go further in front when referee Steven awarded them another penalty after Lyndon Dykes was felled by Rose in the area, but the under pressure Ayr defence got a bit of respite when `keeper Doohan guessed correctly this time to keep out Dobbie`s low spot kick. 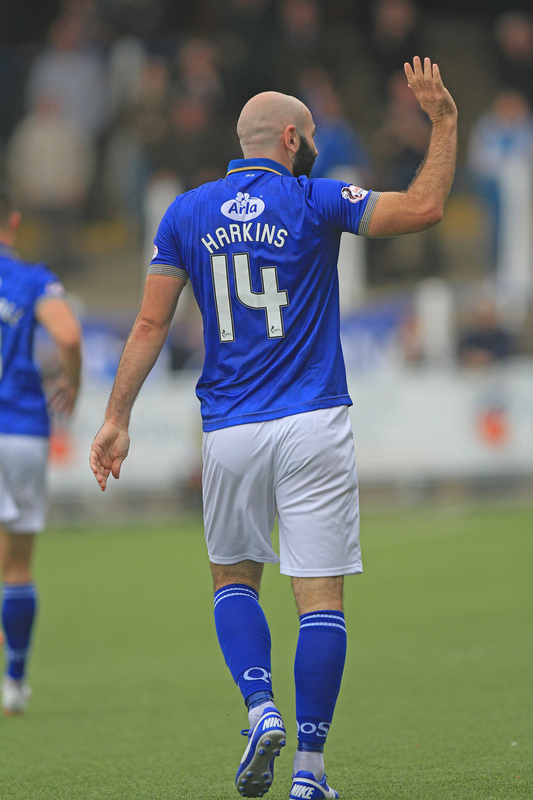 That respite for the visitors only lasted for another 6 minutes before Gary Harkins - the subject of some abuse from sections of the travelling support - scored the goal of the game by cutting in from the right and curling a stunning left foot shot past Doohan from the edge of the box. The perfect response to the abuse, and perhaps he was rather fortunate that his celebration- although not over zealous - carried out in front of the away fans didn`t earn him at least a word from the referee. As the half moved towards it`s conclusion the game threatened to boil over when Doyle and Kerr clashed over a free-kick, and as the Queens man tried to retreat, Kerr blasted the ball directly at him which annoyed both Doyle and several of his team -mates which then generated a pushing and shoving match as players from both teams tried to `sort it out `. Normality was restored with yellow cards being shown to just Doyle, and Kerr, with a few others being lucky enough to have escaped punishment. The half ended with Queens in full control and the home fans in the crowd of 2498 rose as one to show their appreciation for what had been a simply brilliant first half of attacking football. 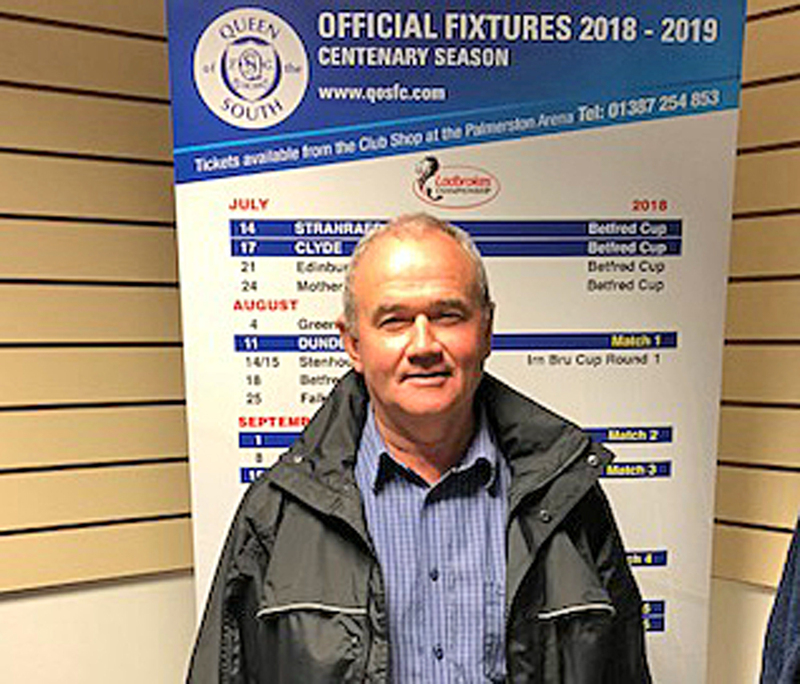 With the records being checked to find out the last time that Queens led 4-0 at the break in a league game at home, - it was back during the Gus MacPherson reign against Morton on 17 September 2011 - the home fans were looking forward to more of the same, but two changes at half-time from Ayr suggested that they were opting for damage limitation as they introduced two more defensive minded players in Smith, and Bell with Kerr and Rose making way. The second half was never going to reach the heights of the first period as Queens looked unlikely to surrender such a big advantage, but credit Ayr as they did make it harder for Queens at least in the opening phase of the half. 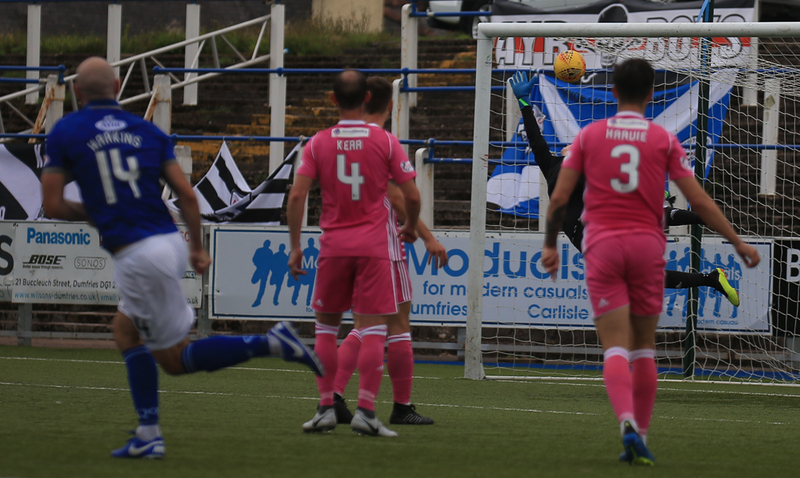 However as the game continued Queens began to carve out more goal scoring opportunities as Dobbie went close twice in as many minutes.On the hour mark a low drive from Shankland forced Martin into action, but the power in the shot was never going to beat the Queens `keeper. A big chance came for Lyndon Dykes to get the goal that his overall performance deserved when he was sent through on goal but unfortunately his first touch took him slightly to the right and he was only able to drill a low shot straight at the advancing `keeper. A second booking of the game for Queens went to Andy Stirling for kicking the ball away after a foul, but that along with the booking for Doyle and Todd earlier were the only bad points for Queens on a day when everything else went very well. However, the same could not be said for the visitors who suffered again 11 minutes from time. 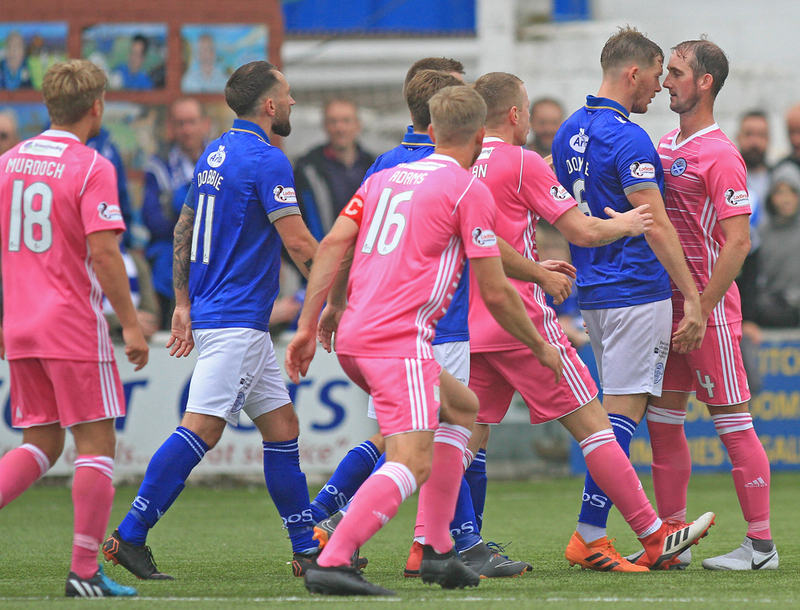 Geggan was booked for a foul and then the previously booked Harvie received a second yellow when he threw the ball directly at a Queens player, which the referee deemed to be unsporting behaviour. 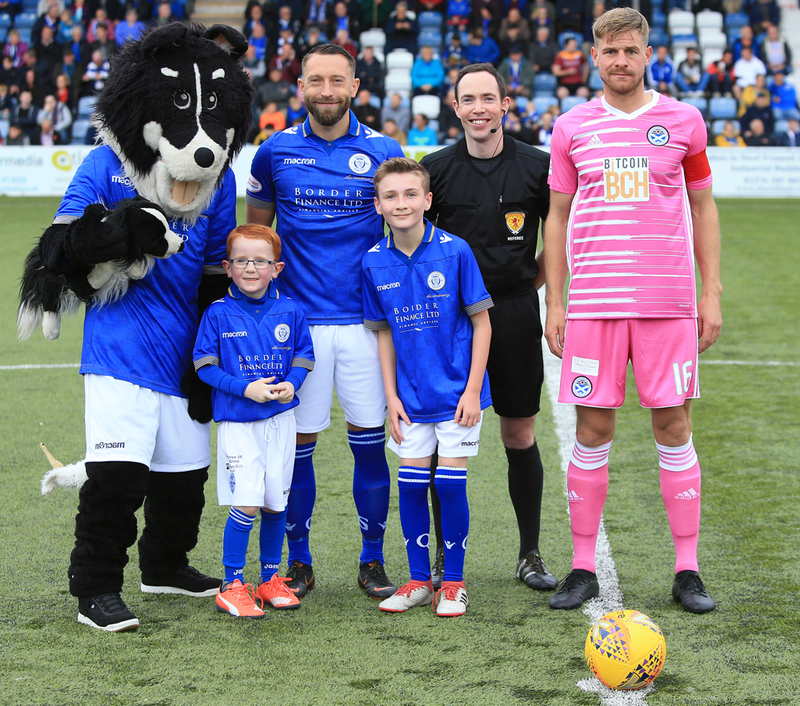 Queens added a fifth and final goal on 84 minutes when more excellent work from Dykes set up the chance for Stephen Dobbie to wrong foot the `keeper with a close range finish. The goal was Dobbie`s 7th in two games, and remarkably his 18th in all competitions so far this season after only 10 games played. 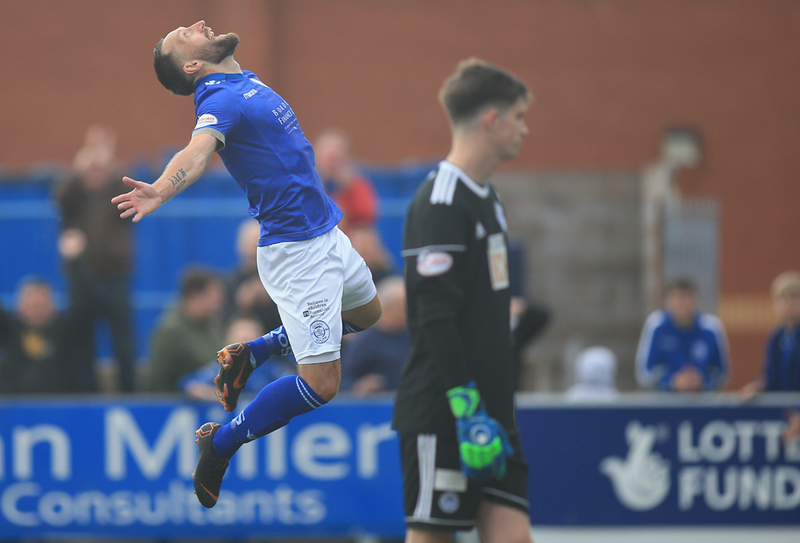 Connor Murray, and Robbie Ivison were given the last few moments as they replaced both Gary Harkins and Stephen Dobbie who was quite rightly applauded from the field after yet another outstanding display - is it just me, or is he getting better, and better ?? Clearly Ayr have made a very promising start to the season but today they simply had no answer to Queens positive attacking play, and much like last week at Falkirk, Queens could quite easily have scored more than they did. 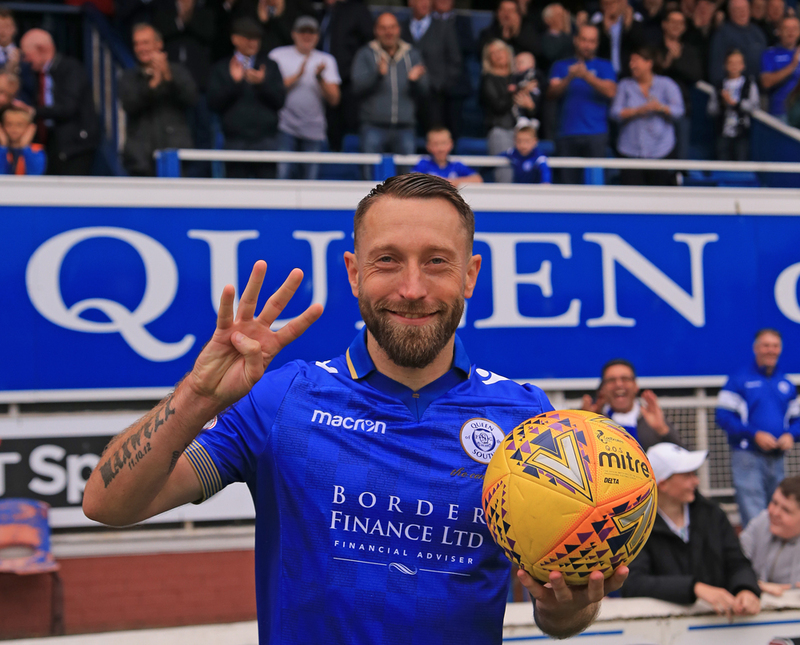 The award of man-of-the-match obviously went to Stephen Dobbie, but today the award should be given to the whole team as they produced some of the best football the Queens faithful have seen at Palmerston for many a game. We have seen spells of good football, but this game - against what was a previously unbeaten team - was dominated by Queens and some of the play was outstanding and the players should be congratulated for not only winning the game, but for winning the game playing some excellent football.